I read an article in the March issue of Harper’s Magazine that I think will be worth your time. 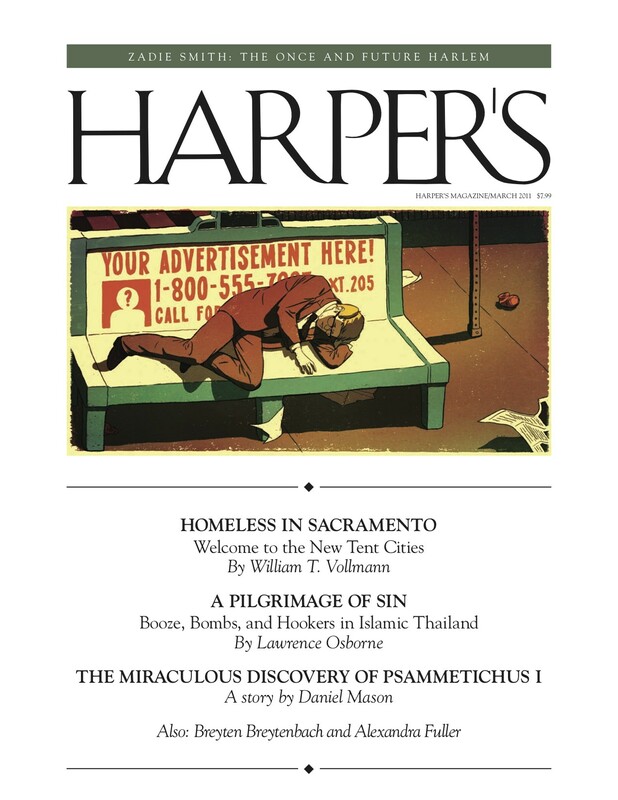 The writer, William T. Vollmann, spends some time with homeless people in the city and provides an interesting look into what I think to be a misunderstood world. I would urge you to read the article from more of a sociological perspective first rather than putting on your political glasses (regardless of what shade of political glasses you might be sporting). I’ll grant the obvious left leaning slant of Harper’s…something that might keep some of you from clicking the link below and reading the article. However, I think this is an interesting (and well written) glimpse into this world.